At New Monkland Primary, we borrowed the wireless camera. This was used to display images of our ‘Giant African and Snail’ called Brian, in our front foyer for all to see. We also transmitted images of our chicks hatching too. This entry was posted in Professional and tagged camera, Outdoor Camera on 18 April, 2013 by Mrs Tracy. Fisheye lens, a photo by Gordon McKinlay on Flickr. As well as being the proud owner of a Sigma 120-400m zoom lens I now also have two tiny little lens attachments for the iPhone camera. 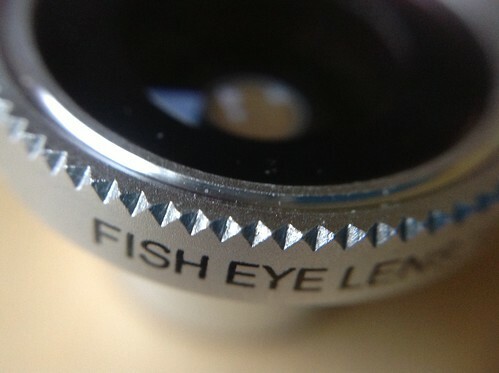 One is a fish eye lens which gives quite bizarre results and the other is a combination macro and wide angle lens. They were a lovely gift and I am going to have some fun experimenting. Used in combination with the new IOS Flickr app (and the extra three months free Pro account I received today) they make a nice wee addition to my armoury. As someone once said ” the best camera you have is the one you have with you”. I don’t always have my DSL, but I do have my iPhone. This entry was posted in Professional and tagged attachment, camera, fisheye, iPhone, iphoneography, lens, photography on 22 December, 2012 by Gordon McKinlay.